Connecticut State Police and Connecticut Police have made police misconduct all too common. You can be adducted (arrested) and beaten at Police HQ, just for making a police misconduct complaint. Colchester Connecticut Police Officers Nardella and Thomas arrested Stephen and Ian Murzin at their parents home. Their father happened to be a Hartford Detective at the time of his sons' arrest. Stephen Murzin was home from the US Marines when he observed Phil Inkel being beaten at the Colchester Connecticut McDonald's Hamburger Restaurant. Phil Inkel had been beaten by Thomas and Nardella for having made a Police Misconduct Complaint because he observed Thomas and Nardella beating a teen for having worn baggy pants. The Father, the Detective was harassed out of his job for wanting justice in the matter. His two sons will never be the same again, nor will they blindly trust any authority. Stephen Murzin was later stabbed 13 times by David J. Taylor, a felon on probation. Taylor, a police informant, also stabbed two other people. Taylor was not violated on probation and he did not go to prison for almost killing 3 people. Todd Vashon, a police informant, who lost his nerve to kill either Phil Inkel or Stephen Murzin, talks about being given $10,000 cash for the murder for hire plot hatched by Colchester Connecticut Police Officers Nardella and Thomas. These police officers were never properly disciplined for such heinous behavior. The Connecticut State Police Internal Affairs still have a policy of "Arrest and Discredit" when a citizen makes a police misconduct Complaint. Connecticut prosecutors and judges cover up for police officers involved in misconduct and help retaliate against those that lodge police, prosecutorial, attorney, official, and judicial misconduct complaints. The Connecticut Judiciary Committee that disciplines and confirms judges does neither as it is made up mainly of practicing lawyers that could lose their careers, face arrests and prison, be disbarred, and lose the sum total of their life's work to rule against abusive police, prosecutors, judges, and attorneys that serve the abusive system, not their clients. I, Steven G. Erickson, tried to have Rockville Connecticut Superior Court Judge Jonathan Kaplan removed for bias in civil cases regarding the self-employed, contractors and landlords. I made complaints about Stafford Springs Connecticut are town and State Police. For being a victim of a strong arm attempted robbery and being assaulted on my own property, ending the beating I was taking with pepperspray, I was sentenced to a year in prison, 3 years probations, stiff fines, to see a psychiatrist twice a week (I must have been crazy to resist the felon trying to rob and kill me), drug and alcohol classes (I was not drunk or high when I was attacked and have no history, but my attacker was legally drunk when he assaulted me), a mental competency exam, and now have a criminal record preventing me from getting most employment and lodging. Where is justice in the American Justice System? Judicial Immunity keeps Judge Jonathan J. Kaplan from being arrested and prosecuted for acting illegally and Unconstitutionally in my case. If Kaplan had sawed off my leg and I had lived, he would have done less damage to me and my family. I would still have the ability to purchase a home, health insurance, my small business built up over 2 decades, credit, a relationship with my National Honor Society Student daughter, retirement, my dog and other pets, and believe in honest, ethical courts and law enforcement. An angry Gov. M. Jodi Rell dressed down more than 60 state police managers at the governor's residence in Hartford Monday, warning that the department is about to "implode" and threatening to replace managers who could not properly supervise their ranks, according to sources who attended the meeting. "I gave state police commanders a very direct message: They need to start leading," Rell said in a written statement Monday afternoon. "This is a time of turmoil in the agency and troopers are looking to their senior officers. The people of Connecticut — and I as their governor — demand that those officers provide strong, effective guidance." Her harsh comments came after several weeks of testimony before the state legislature by troopers who said they had been victims of blatant retaliation by state police managers for being whistleblowers. Last week, about 200 troopers attended a hearing before the legislature's public safety committee, asking lawmakers to help stop harassment and revamp the state police. State Police Union President Steven Rief sharply criticized the agency for severely punishing troopers for misdeeds, while being lenient with managers. 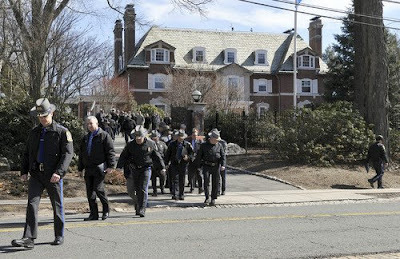 On Monday afternoon, managers' police cruisers lined side streets near the governor's residence, as lieutenants, captains, majors, and lieutenant colonels, some dressed in uniform, others in suits and ties, walked together through the iron gates up to the mansion. Managers — from lieutenants up to Public Safety Commissioner John A. Danaher III — attended a mandatory emergency meeting that lasted just 15 minutes before they walked back out to their cars solemnly. Among those who testified about retaliation last week was Det. Karen Nixon, one of the whistleblowers who filed complaints about misconduct. She said two of her supervisors called the state Department of Children and Families to her home after she had a bad reaction to a medication. Nixon testified that she felt it was retaliation for being a whistleblower in the case of Eugene Baron, a trooper who had been stopped on suspicion of drunk driving four times and let go each time by state police. Baron has since retired. Rell said in the statement she wants commanders to "listen to line troopers and respond." "Those issues must be dealt with aggressively, responsibly and effectively. It is important that the command staff lead their agency with fairness, innovation and enthusiasm," Rell said. During the meeting, Rell gave her support to Danaher, who has been commissioner of the embattled agency for just over a year, saying he is a good commissioner in a long line of them, sources inside the meeting said. Afterward, Danaher said he will be putting some policy changes in place later this week, but declined to discuss them Monday. "They are issues I have been talking to Steve Rief about for some time, policy issues we have been discussing," Danaher said. Rief said the union has tried to deal with some of the issues Rell spoke of for the past year. "I'm encouraged to hear the governor has recognized something we have been saying for quite some time," Rief said. "It's a step in the right direction and I'm glad the governor is trying to set the tone. Hopefully, today is a start where they do get the message." Contact Tracy Gordon Fox at tfox@courant.com. Right. We are going to believe a so called informant, a so called wing nut(Inkel) and the two sons of a Hartford Cop(Murzin) who was arrested for stealing. OK. I guess no one elses words count except those of these scumbags or any other scum bag who makes a complaint against a cop no matter how ridiculous. And People wonder why our society is going down the toilet. It sure isn't because of the cops now is it. YOU have no idea what you are talking about. Let me explain a few things here. I know about this case. The cop (Murzin) was arrested May 16, 1997 on his birthday for Second Degree Larceny. He was charged for something the Police Chief says is not a crime. Murzin did nothing that other officers aren't doing now. Also, Murzin was given his job back! Want the truth? Here it is ... back in 1997 Mr. Murzin was arrested on a defective warrant signed by a Judge Koltesky. State's Attorneys, C. Robert Satti, James Thomas, and Judge Koletsky plotted this. Why? Because they believed Murzin was sticking his nose in where it didn't belong. The warrant was shopped for and no judge would sign it, but Koletsky agreed to sign it when he got back from his vacation in Utah. How do we know? Because a court official warned Murzin and a few others that the warrant would be singed by Kolestsky. Then voila, like magic, the warrant appeared. The case just went away on an agreement. Murzin was to agree to not to enter Wethersfield while on duty without permission from a supervisor. He went to his probation appointment, but the probation officer had no record of him. Do you think everyone here is that stupid? Look at Murzin's retirement photos. He is sneaking up on the Wethersfield town line. Too funny. Know what you are talking about before commenting. Federal court documents made public Monday give the most comprehensive account to date of a Sept. 3 confrontation between FBI agents and investigators working for lawyers representing construction executive William A. Tomasso and two of his companies in a case involving corruption in state government. Tomasso’s lawyers charge in a court document that FBI agents harassed, detained, and used force against private investigators conducting legal surveillance of Lawrence E. Alibozek, who had been an aide to former Gov. John G. Rowland. Alibozek pleaded guilty to a corruption charge, and is now cooperating in the federal investigation of Rowland’s administration. At one point during the detention and search of the investigators, which occurred as they conducted surveillance outside a New Hartford restaurant where Alibozek was meeting his wife, an FBI agent realized that the investigator’s video surveillance system was still on, Tomasso’s lawyers say. Moreover, they say, FBI agents, acting without a search warrant, seized notebooks, papers, camera equipment, and numerous other items from the investigators — and the agents read the written materials at the scene despite the investigators’ claims that they were legally privileged. The Tomasso lawyers are asking Senior Judge Peter C. Dorsey — who is presiding over the criminal prosecution of Tomasso, his companies, former Rowland aide Peter N. Ellef, and Ellef’s son in U.S. District Court in New Haven — to order return of the seized property, which they say was taken illegally. But a federal prosecutor has charged that the investigators had instilled fear in Alibozek and his family by tactics such as following Alibozek in a car that “bumper locked” him for an extended distance and conducting surveillance of their home in rural New Hartford. Materials prepared by lawyers getting ready for trial, including the materials generated by investigators and others they hire, are protected by what is known as a lawyer’s “work product” privilege. Dannehy says in her letter that the “bumper locking” incident occurred Aug. 23, when Alibozek was followed “the entire way into town.” He reported being followed again on Aug. 25, Aug. 27, and Aug. 31, sometimes with family members in his car, as vehicles at times whizzed by at high speed. On Aug. 29, the prosecutor wrote, Alibozek’s son, Luke, was home alone when a beige sport utility vehicle began driving slowly back and forth in front of the family’s driveway, then parked in front of the driveway, blocking it. Luke Alibozek called his parents, who came home immediately to find the beige vehicle parked across the street. 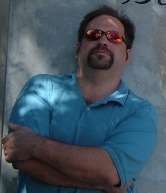 “Larry Alibozek had words with the driver and took his picture,” Dannehy wrote. She added that the investigation has revealed that the vehicles involved in the incident were leased by people associated with the Murzin-Thibault Investigative Group, a Litchfield-based private investigative agency. The principals of the agency are Richard Murzin, a retired Hartford police detective, and Andy Thibault, a journalist, who teaches journalism and communications at the University of Hartford. She said the man in the driveway incident appears from the photographs to be Murzin’s son Ian, who she said has criminal convictions for threatening, criminal trespass, and other offenses and has spent time in prison. The Sept. 3 confrontation occurred around 10 a.m. as Murzin-Thibault investigators conducted surveillance in and outside Chatterly’s Bar and Restaurant in New Hartford, the Tomasso lawyers say. According to Dannehy, the FBI received two panicked calls from Alibozek’s wife, Leah, who reported that she recognized a car outside the restaurant and “her heart stopped and she broke out in a cold sweat.” Inside the restaurant, a man was sitting one seat from her husband whom he identified as someone who had previously followed him. FBI agents went to the restaurant in response to the calls, Dannehy said. According to the Tomasso lawyers, an investigator — identified by Dannehy as another of Murzin’s sons, Stephen — parked an SUV some 150 yards from the restaurant and was setting up surveillance inside his car when two cars blocked him in. An FBI agent yanked open the passenger’s door of the SUV and yelled, “What are you doing here?” according to the Tomasso lawyers. Stephen Murzin replied, “I’m testing my equipment,” they say. Stephen Murzin replied that he wanted to remain silent and see his lawyer, but the agents continued to question him and one said, “You are going to prison if you don’t cooperate,” according to the Tomasso lawyers. While he and another investigator were detained, they were ordered to remove their shirts and were photographed without them, the Tomasso lawyers say. The above-captioned matter was heard as a contested case on October 23 and November 28, 1995, at which times the complainants and the respondents appeared, stipulated to certain facts and presented testimony, exhibits and argument on the complaint. At the hearings on this matter, Charles Scott Thomas, James Nardella and Mark Gendron, the subjects of the records at issue, were made parties to this complaint, and Tracy Fox and The Hartford Courant were permitted to participate as intervenors. 1. The respondents are public agencies within the meaning of 1-18a(a), G.S. 2. By letter dated October 6, 1994, the complainants requested that the respondent Department of Public Safety, (hereinafter "DPS"), provide them with access to and copies of the state police internal affairs investigation records into written complaints filed by Colchester residents Phillip Inkel, Richard and Linda Verrill, and Amelia Scavetta against Colchester police officers and/or the Connecticut State Police. 3. By letter dated March 16, 1995, the respondent DPS advised the complainants that the records of two unspecified internal affairs investigations were not subject to disclosure because the investigations were still open, but that the records of two other unspecified closed investigations would be provided once reviewed by counsel. 4. By letter dated March 20, 1995, the respondent DPS denied the complainants' requests for the internal affairs investigation records into the Verrill and Scavetta complaints pursuant to 1-19(b)(2) and 1-19(b)(3)(G), G.S. 5. By letter dated March 14, 1995, the complainants requested that the respondent Colchester Police Commission (hereinafter "CPC") provide them with access to and copies of the state police internal affairs investigation records into complaints filed against Colchester police officers and/or the state police during the 1994 calendar year, including, but not limited to complaints filed by Richard Murzin, Phillip Inkel, Richard and Linda Verrill and Amelia Scavetta. 6. By letter dated April 3, 1995, the respondent CPC informed the complainants that it was reviewing their requests and would respond to them shortly. 7. On April 5, 1995, the respondent CPC filed a petition for a declaratory/advisory ruling with the Commission concerning the complainants' requests, which was denied by the Commission at its May 10, 1995 regular meeting. 8. By letter dated April 12, 1995, and filed April 13, 1995, the complainants appealed to the Commission and alleged that the respondents DPS and CPC violated the Freedom of Information ("FOI") Act by denying them access to the requested internal affairs investigation records. 9. It is found that in 1994 the respondent CPC received a number of civilian complaints against certain Colchester police officers, which were forwarded to the state police for internal affairs investigations. 10. It is found that the following eight internal affairs investigations were conducted by the respondent DPS as a result of the complaints referenced in paragraph 9, above: IA# 94-042 (Murzin); IA# 94-059 (Verrill); IA# 94-060 (Inkel); IA# 94-063 (Gardner); IA# 94-064 (Scavetta); IA# 95-004 (Inkel); IA# 95-014 (Saunders); IA# 95-015 (Inkel). 11. It is found that the requested internal affairs investigation reports are public records within the meaning of 1-18a(d) and 1-19(a), G.S. 12. It is found that the respondent DPS provided the complainants with a copy of the IA# 95-004 records on April 7, 1995, and that the complainants withdrew that portion of their appeal as to both respondents. 13. It is found that to date neither respondent has provided the complainants with any of the other requested records. 14. The respondent DPS claims that only the records of the investigations conducted in response to complaints filed by Inkel, Verrill and Scavetta are responsive to the complainants' request as made to it. 15. It is found that although only the records in IA# 94-059, IA# 94-060, IA# 94-064 and IA# 95-015 are responsive to the complainants request made to the respondent DPS, all the internal affairs investigation records identified in paragraph 10, above, are responsive to the complainants' request made to the respondent CPC. 16. It is found that the respondent DPS had completed all of the subject internal affairs investigations by the date of the complainants' request, and had forwarded the requested records in stages to the CPC, with the last one, IA# 94-042, being received by the respondent CPC on March 23, 1995. 17. It is found that by letter dated March 23, 1995, the respondent CPC notified officer Thomas, officer Nardella and officer Gendron's counsel of the complainants' request. 18. It is found that by letter dated March 28, 1995, officers Thomas, Nardella and Gendron notified the respondent CPC that they objected to the disclosure of the requested reports pursuant to 1-19(b)(3)(F), G.S., because they contain uncorroborated allegations subject to destruction pursuant to 1-20c, G.S. Apparently the reference to 1-19(b)(3)(F), G.S., is to the exemption found in 1-19(b)(3)(G), G.S. 19. It is found that the respondent CPC has no objection to the disclosure of the records but did not release them to the complainants because the subject officers had filed objections to disclosure. 20. The other respondents contend that the requested records are exempt from disclosure under 1-19(b)(2) and 1-19(b)(3)(G), G.S. The respondent DPS also contends that although the records in IA# 94-042 were not requested of it, they are nonetheless exempt from disclosure because disciplinary proceedings against certain state police troopers had not taken place. 21. It is found that as a partial result of the requested internal affairs investigation records, officers Nardella and Thomas were suspended without pay, and resigned from their employment on April 25, 1995, while disciplinary hearings before the CPC were ongoing. 22. Section 1-19(b)(2), G.S., permits the nondisclosure of "personnel or medical and similar files the disclosure of which would constitute an invasion of personal privacy." 23. It is found that the requested internal affairs investigation records constitute "similar" files within the meaning of 1-19(b)(2), G.S. 24. It is also found that the requested records, which concern alleged police misconduct, pertain to a legitimate matter of public concern. 25. It is further found that the disclosure of the requested records, some of which exonerate the subject officers, would not be highly offensive to a reasonable person. 26. It is therefore concluded that disclosure of the requested records would not constitute an invasion of personal privacy as to officers Thomas, Nardella or Gendron; and consequently, the records are not exempt from disclosure pursuant to 1-19(b)(2), G.S. 28. Based upon an in camera review of the requested records, it is found that they were compiled not in connection with a criminal investigation, but rather in connection with the investigation of employment-related charges brought by certain civilians against the subject officers in their capacity as police officers. 29. It is therefore concluded that the requested internal affairs investigation records are not exempt from disclosure pursuant to 1-19(b)(3)(G), G.S. 30. It is also concluded that the pendency of employment- related disciplinary proceedings against certain state police troopers does not provide an exemption to the disclosure of the requested records. 31. It is further concluded that the respondent CPC responded to the complainant's request in accordance with 1-20a(b) and (c), G.S., and is therefore not in violation of the FOI Act for failing to disclose the requested reports prior to the final decision in this matter, but that the respondent DPS failed to provide prompt access to the records requested of it, in violation of 1-15(a) and 1-19(a), G.S. 1. The respondent DPS shall forthwith provide the complainants with copies of the records contained in IA# 94-059, IA# 94-060, IA# 94-064 and IA# 95-015, without charge. 2. The respondent CPC shall forthwith provide the complainants with copies of the records contained in IA# 94-042, IA# 94-059, IA# 94-060, IA# 94-063, IA# 94-064, IA# 95-014 and IA# 95-015. 3. In complying with paragraph 2 of the order, the respondent CPC may redact: the full names of minors; medical reports and references to medical reports; the dates of birth, home addresses and telephone numbers of non-parties; fingerprinting reports; and detailed polygraph reports setting forth questions and answers. 4. Henceforth, the respondent DPS shall strictly comply with the requirements of 1-15(a) and 1-19(a), G.S. Approved by Order of the Freedom of Information Commission at its regular meeting of February 28, 1996. PURSUANT TO SECTION 4-180(c), G.S. THE FOLLOWING ARE THE NAMES OF EACH PARTY AND THE MOST RECENT MAILING ADDRESS, PROVIDED TO THE FREEDOM OF INFORMATION COMMISSION, OF THE PARTIES OR THEIR AUTHORIZED REPRESENTATIVE. c/o Elliot B. Spector, Esq. c/o Richard A. Mills, Jr., Esq. c/o Ann E. Lynch, Esq. New London County, CT courts covered up (Murder For Hire) case? The Norwich, CT court officials have a record of cover-ups, especially Court Inspector James Dignoti. It has been alleged that Mr. Dignoti accepted sexual favors in the past from a Chris Bruno (an ex-drug user and prostitute.) to fix criminal cases against her. Claims are that his policy is to accept these types of favors. It is also believed Dignoti conspired to cover up the Phil Inkel (murder for hire) case in 1994. Sources say that Colchester Police officers James Nardella and Charles Scott Thomas hired a Todd Vachon and others for 10,000.00, a car, a boat and official favors—to kill Phil Inkel after he was instructed by U.S. attorney John Durham to gather affidavits for alleged victims of Police abuse. Phil inkel originally witnessed an assault by officers James Nardella and Mark Gendron of a juvenile (Michael Sienkiewcz) in 1994 and just wanted justice for any victims. Philip Inkel was later assaulted in the McDonald’s parking lot on May 21, 1994 by Colchester officers Charles A. Thomas Jr. (aka Scott Thomas), James Nardella, CT Trooper Norman Seney III and an off duty Norwich police officer Joseph Jones. Mr. Inkel’s paperwork was confiscated and destoryed by the order of Colchester resident State trooper Fred Brigger.— all were addressed to U.S. attorney John Durham for an investigation into the alleged brutality. A public defender actually decided to lend a vehicle to Mr. Inkel for several months because the public defender believed there was a plot to murder him. It was said that the plan was to run Inkel over while he was bike riding at night with a stolen vehicle and plant alcohol in the vehicle to then make it appear to be a hit & run by a drunk driver. Despite the fact probable cause existed, the officers were never prosecuted. Many believe Norwich Court Inspector James Dignoti conspired with officers James Nardella, Charles Thomas, and prosecutor Tom Griffin to hinder prosecution. Later the case was transfered to the New London court under the jurisdiction of the late and corrupt prosecutor C. Robert (do nothing) Sotti. Prosecutor Sotti was well known for covering up crimes of politicians. The Inkel case is just another tail of decades of corruption in New London County. It has been alleged that Dignoti and prosecutor Dave Smith may now be railroading a mentally handicapped man. It doesn’t seem to be a good year in Norwich, CT. When will the corruption stop and justice begin? 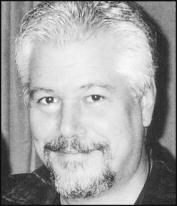 Phil Inkel was finally awarded little justice in March 2000 by winning a federal lawsuit. Inkel story can be found on the Hartford Courant website.